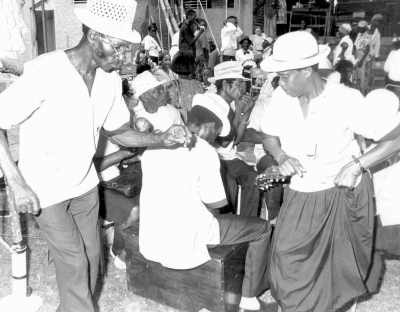 Born in 1960's Jamaica, ska music is a global phenomenon. Hosts (and ska bandmates) T Valladares and Sam Fuqua skavenge the planet for all variations, all waves, all ska all the time! Thanks for checking out the show. We're pulling up new gems from the depths of the world of Ska everyday. We're also finding a ton of great Ska tunes from around the globe, particularly interesting are some of the tracks surfacing from Japan. Catch us playing Ska tunes live with our band The Mighty Twisters. If you find yourself in Boulder, keep an ear out for our band The Mighty Twisters, we play out every so often and do our best to represent with a quality live Ska show.